Nutriment Raw Dog Food - Short Bark and Sides Dog Grooming,Great Glen, Leicestershire. and are seeing the benefits in their dogs health and coat condition. Kibble (dried food) was created for the convenience of humans, BARF (biologically appropriate raw food or Bones and raw food) diets are based of fresh foods - raw meats, raw bones, raw vegetables and minerals. Nutriment meals are ready mixed raw foods. So, if like me, you like the idea of feeding raw but worry about getting the correct mix of meat, bone, veg and minerals then Nutriment meals could be perfect for you to feed your dog. 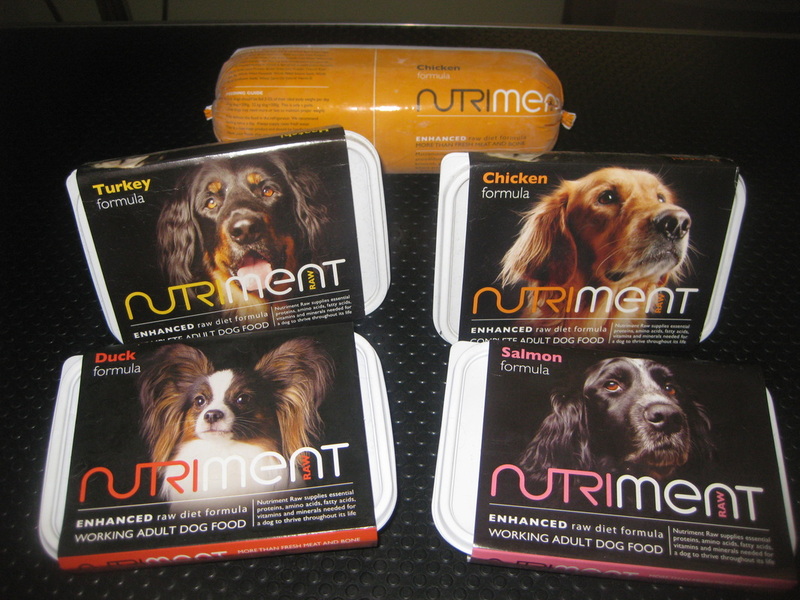 I stock a selection Nutriment meals, I can quickly and easily order others if I don't have them in stock . If you buy from me there is no minimum order or delivery charges (collection only), and, if you choose to book your dog in for a groom you can have 10% discount off of the groom or nutriment (a couple of conditions apply, call for details).